We Are Unabashedly And Openly Admiring Alayna! We are unabashedly and openly admiring Alayna and we don’t care if we embarrass her a little by saying so! This girl is unassuming and modest, but she is beautiful and she has a cool style all her own. 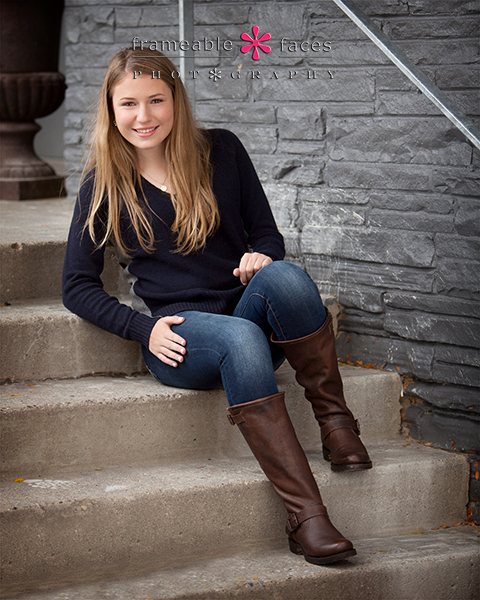 After moving away for a while she came back to Michigan to finish her senior year and we are happy she did! 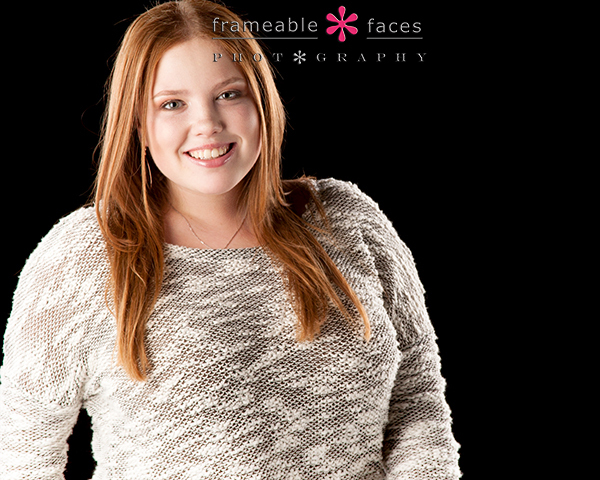 Her grandmother joined us on her session and what a cool grandma! Our day with them was really just a total pleasure. Okay so let’s get to the photos. 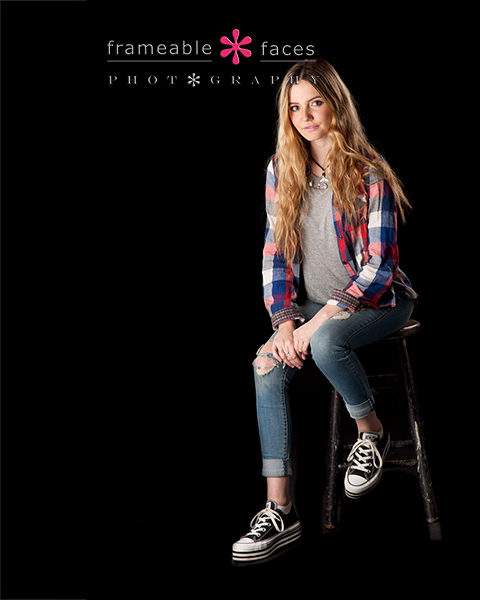 We started in the studio on the black background and we love Alayna in the grungy look with the ripped jeans, sneakers and flannel style shirt! 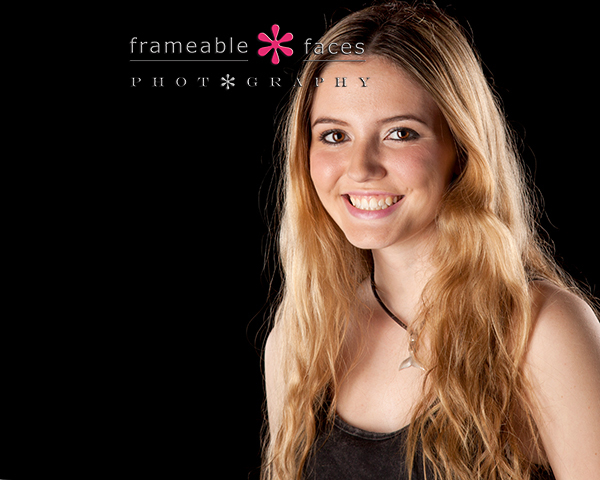 We grabbed a few other photos on the black background before we headed out on location and here is a nice close up of Alayna’s lovely smile! Next it was time to head out on location and the fall colors were still at their peak on the day we spent together – this year it really seemed like we had an extended window with the colors over previous years. We love everything about this next image – the fall orange behind her, the breeze slightly blowing her hair, the jacket, her eyes – all of it! Here is our fun behind the scenes vine of our session! 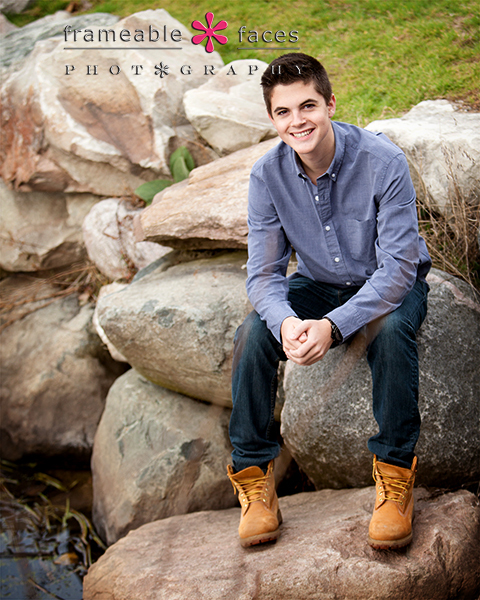 A Pair Of Our Favorite Senior Twins – Ethan’s Turn! Ethan is an outgoing and personable guy – very confident and a pleasure to be around, and he and Claire get along really well. At least from what we’ve seen anyway… Ha! 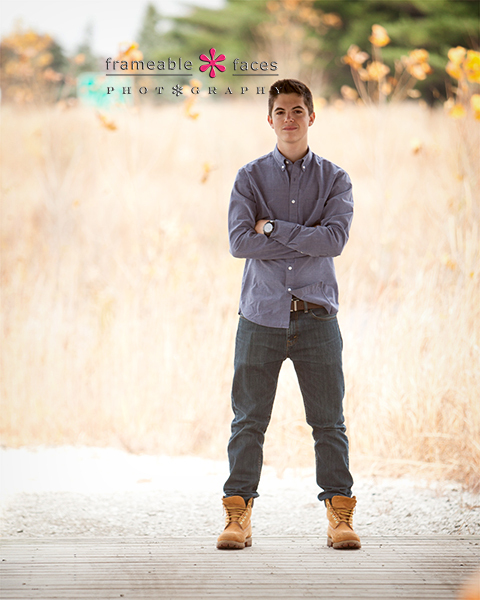 And then this next full length shot on a pathway…. We also shot a little more behind the scenes footage of just Ethan in this fun vine! 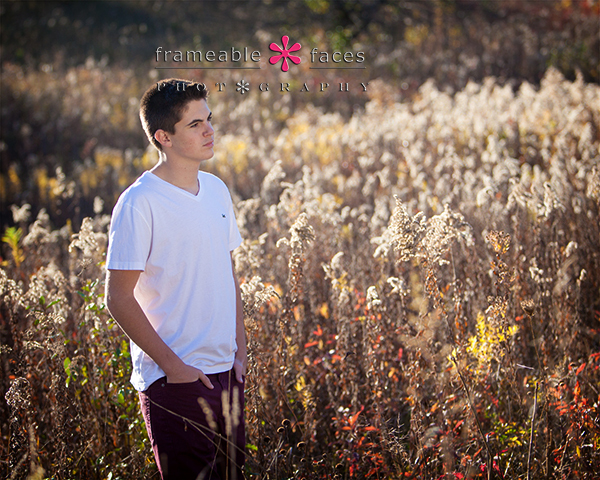 And then to the meadow where we photographed a thoughtful Ethan “pondering his future”! So that will do it for now – we have had a great time photographing these two over this past year and we are thrilled that we’ve had the opportunity to hang with them and be a part of their senior year. We look forward to fun times and visits with them in the future! We hope you enjoyed the highlights from their sessions! A Pair Of Our Favorite Senior Twins – Claire First! Here is our fun behind the scenes vine of Claire including the scenario with the frog that I mentioned earlier… haha! Next let’s highlight a photo of Claire and Ethan together. 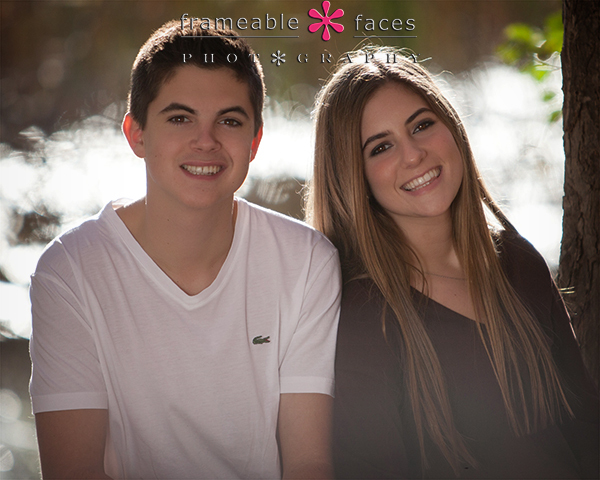 This is part of the fun of photographing twins – you get to do fun shots of them together in addition to solo shots! 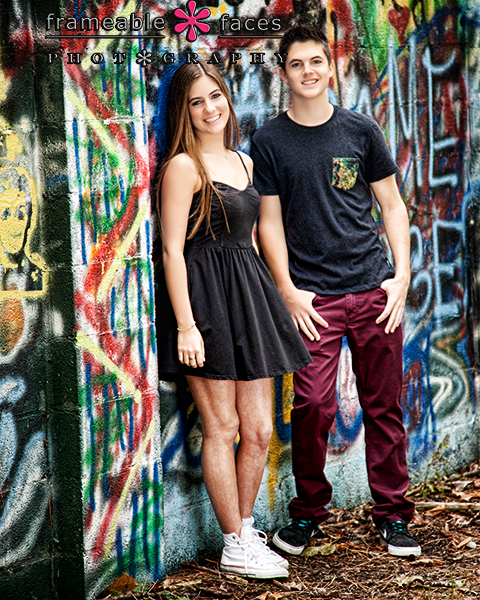 Next we took a drive to the graffiti wall that we’ve used a few times over the years. You never know what you’ll get since the graffiti can change, but it actually hasn’t changed the last couple times we’ve gone there. Lastly we made one more stop at the meadow we discovered just this year for a few more and we got this one with some beautiful backlight! 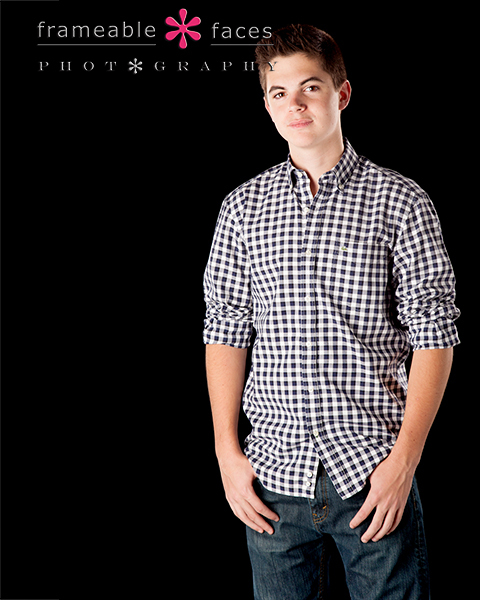 So there it is – Claire’s photos from the session were wonderful, and next we’ll highlight our photos of Ethan as we continue to celebrate two of our favorite senior twins! So stay tuned! 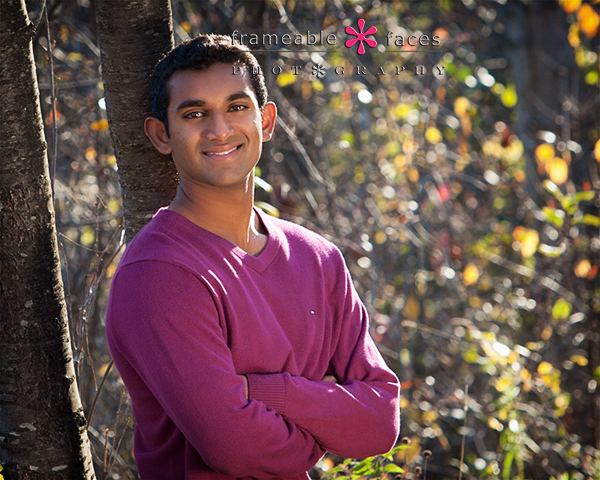 A Sunny Sensational Senior Morning With Sid! 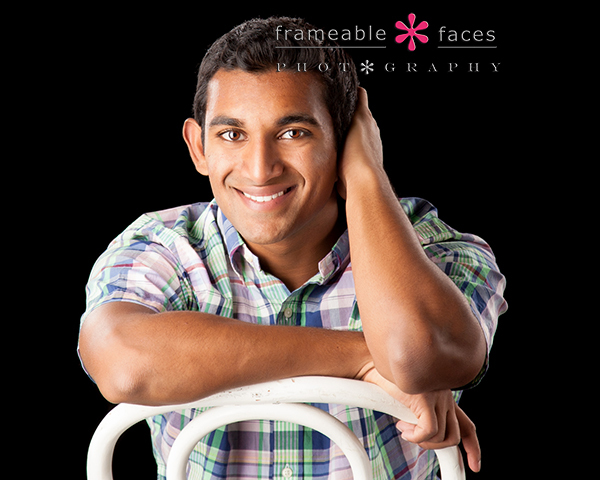 We definitely had a sunny sensational senior morning with Sid! What an impressive, smart and engaging young man! Sid is a busy guy with tennis and school and it took us a while to get a day that worked for all of us, but we finally made it work and our conditions were sunny and sensational – even if it was a little chilly out! Like 30 degrees chilly! 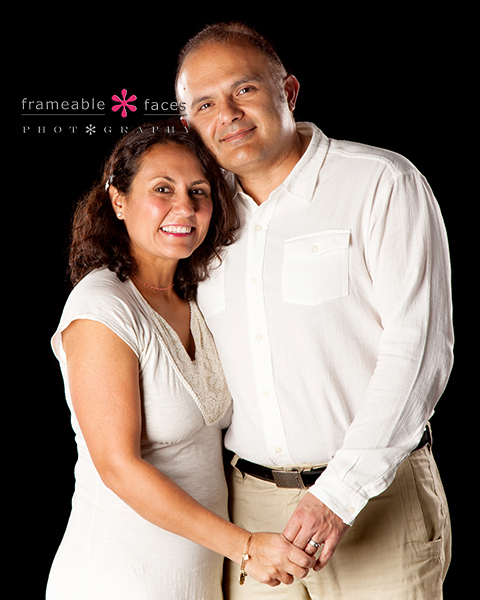 You can see that we had some great backlight to work with there! 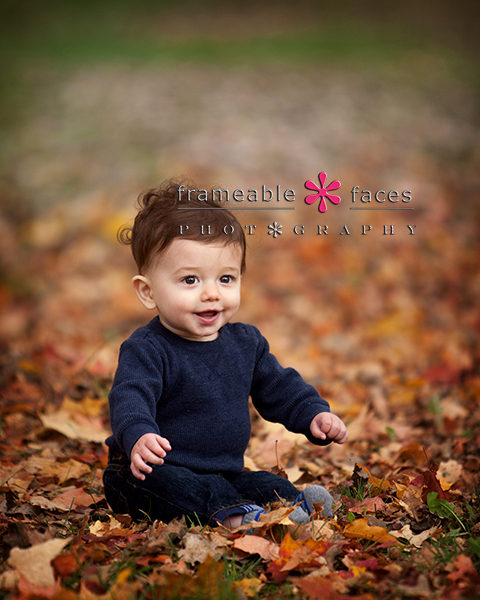 There were also some nice fall colors around which we see in the leaves surrounding Sid in this next spot. We went to a different location on another trail where we came across a nice flat rock and we had been chatting about how when we find a new spot with a senior we name it for them. That’s when Sid chimed in saying “Hey it’s Sid’s Slab!! !” We love it! Here is a shot of Sid on Sid’s Slab! Haha! Great times! 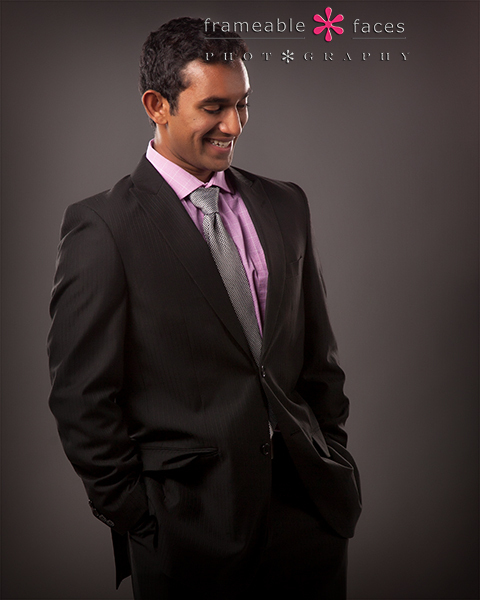 We look forward to big things from Sid and we had a sensational sunny morning with him on this session! We hope you enjoyed the highlights from our day! 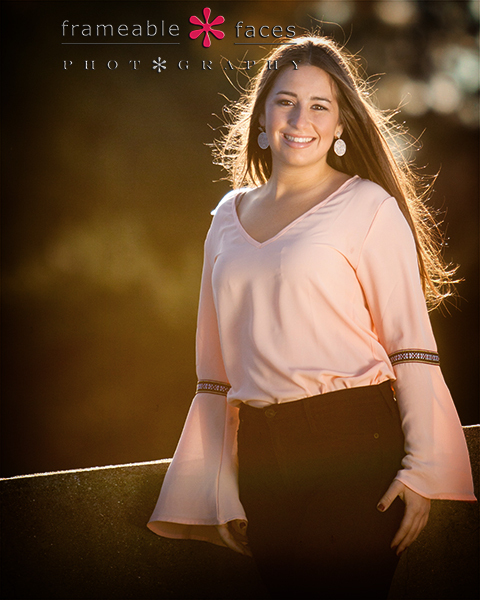 O Juliet We Just Love Your Senior Session! 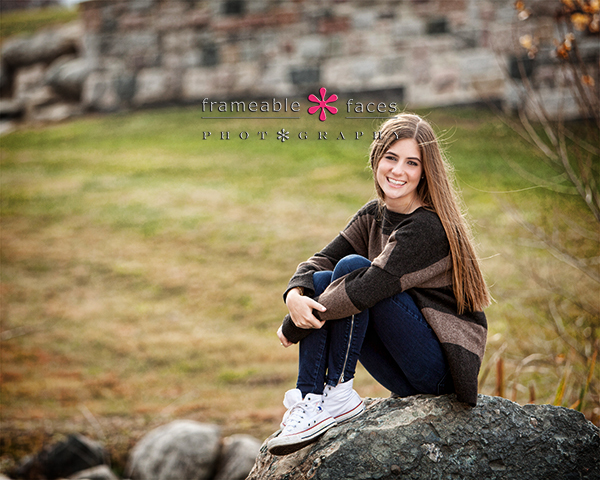 O Juliet we just LOVE your senior session! That’s the truth. We had amazing fall colors, a new outdoor prop we never used before, a great girl and a great mom and our results speak for themselves. 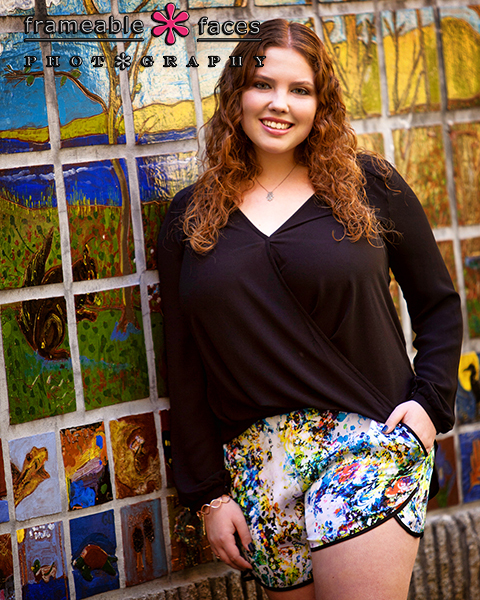 Juliet is a sweetheart and a really impressive girl with big plans and a clear head on her shoulders. 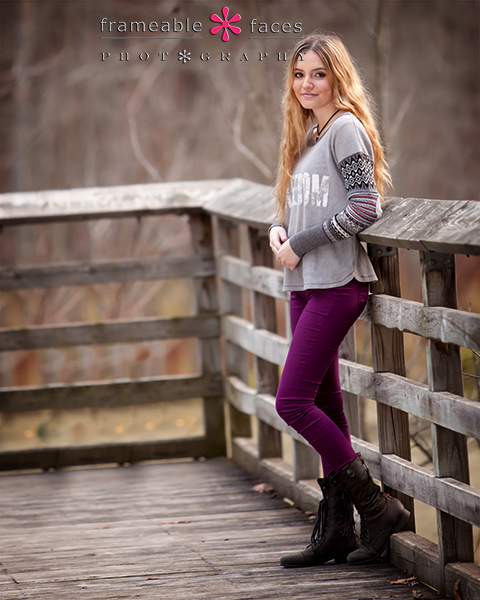 We can’t wait to see what she is going to accomplish with her life! But for now let’s focus on the wonderful morning we spent with her! We started on location where the fall colors were at their absolute peak – just look at this wall of color, and we love Juliet in the maroon dress – she looks beautiful, confident and content here. We spent a little more time in the natural setting but we also got some really cool urban photos – and then the studio shots are amazing too…. We want to get to all of that so let’s move on. 🙂 Our next photo is just a fun engaging photo of Juliet on some steps which we think brings out her personality. Now we’ll take a look at the spot we hadn’t used. This outdoor “prop/barrel/tube thing” looks so cool in black and white – love this. We’ll call it “senior in a circle” haha! Lastly we headed back to the studio where we went with our black and blowy set up and we have to say that Juliet nailed this shot. Like it was made for her – so dramatic and pretty! And that concludes our highlights of this session, even though we could have easily kept going – no shortage of amazing photos of this girl from that morning… We hope you enjoyed them! United This Family Stands….and Smiles, and Hugs! 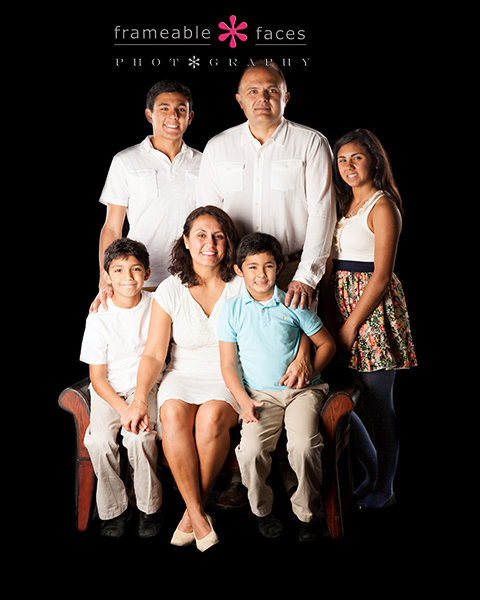 This beautiful family came to the studio recently for a photo session and they were a pleasure to be with. One of the kids was slightly under the weather, but I won’t even reveal which one because the kid was a total trooper and you would never know which one it was! Meanwhile everyone got along and picked each other up, made each other laugh and generally had a good time, so yes we can definitely say that united this family stands….and smiles, and hugs! 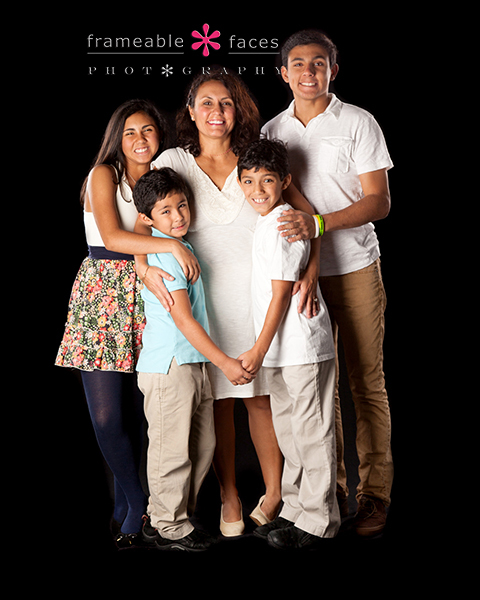 What a stunning family right? Next we spent some time on just the kids, individually as well as some group shots and that’s where we captured one of Ally’s favorite family poses – the family hug! See what I did there? You knew that was coming from the blog title…. ha! So cute! Just great kids and we had fun with them. 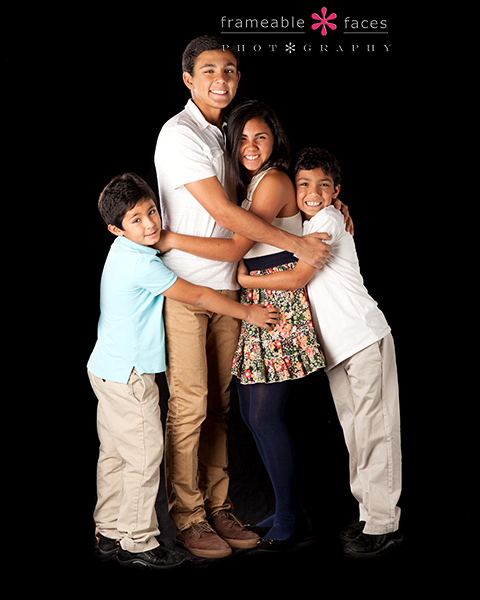 Here is our fun behind the scenes vine of the morning with the family hug in action! Next let’s take a look at this combination of just the mommy with her babies! And lastly let’s celebrate where this family all started – with the happy couple responsible for all this love! So there it is – our wonderful united family! They are totally worthy of being the subjects of the first blog post on our brand new website! We hope you enjoyed the photos! 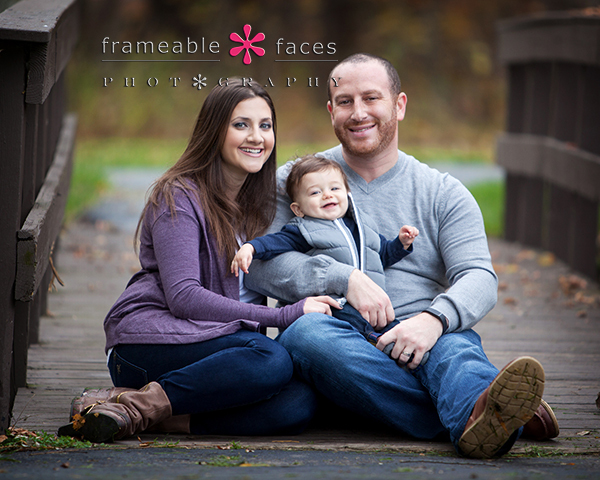 A Frameable Fun Fall Session With A Family Of Three! 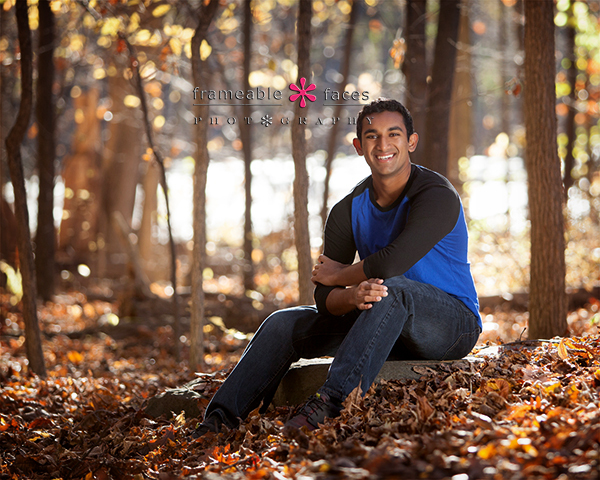 We have been buried in seniors from the class of 2015 lately which we love, but a frameable fun fall session with a family of three was a nice change of pace especially at the height of fall colors! What a fun couple with what Ally would refer to as a squishy yummy little boy named Josh. Josh gave us great smiles and we had much fun! Next we looked to get a few more family shots under a tree filled with and surrounded by pretty yellow and orange leaves – it was a great spot which gave us some great results! Love the interaction here of the three of them just being a family. And we have a little of this on our fun behind the scenes vine of the morning! You’ll see here that when we went back to the house afterwards to try to get a few more with the dogs that Ally got a little surprise… haha! As mentioned in the vine this part of the session with the dogs was a bit more challenging but we did get one last family shot on the deck that we’ll share here! And there you have it! 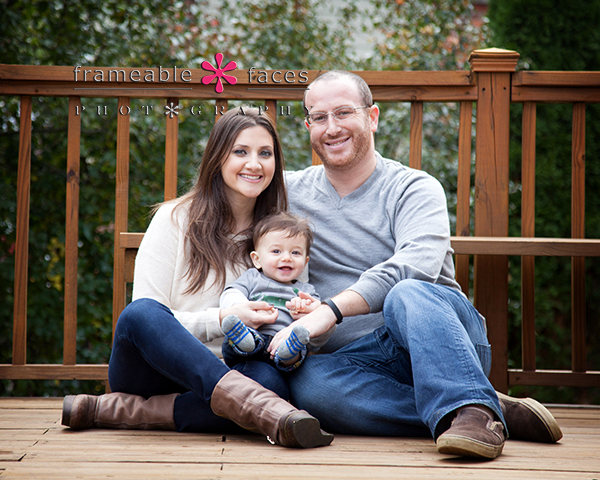 Highlights from a Frameable fun fall session with a family of three that we hope you enjoyed! 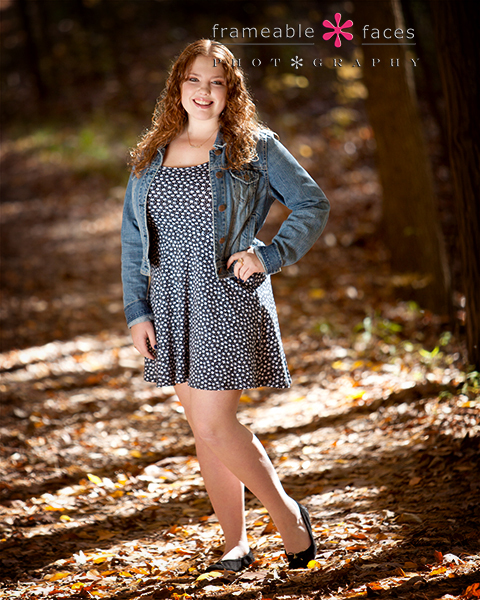 Rachel Was Resplendent On Her Senior Session! 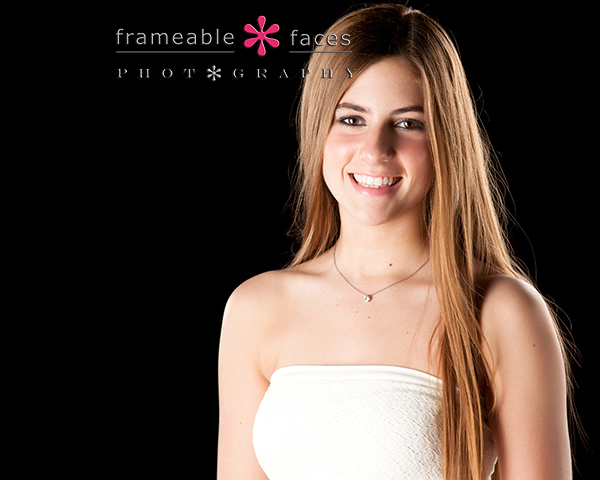 Rachel was resplendent on her senior photo session on location, in the studio, with her hair curly and straight! Her session had it all and why not? This girl has it all. She’s got the looks, brains, personality, a great family and a great future! 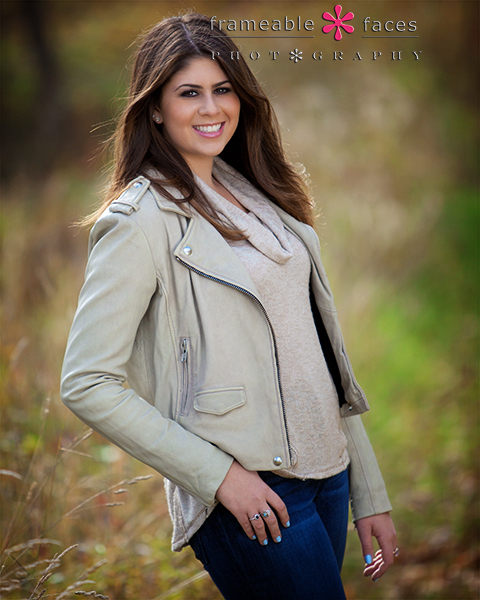 We were proud to have her represent our studio this year as a spokesmodel and we were looking forward to photographing her again since her spokesmodel session was so great! Really pretty lighting here and as I said before – Rachel looks resplendent! Next we moved over to a pavilion in the nature preserve that has several elements that we like to photograph with our seniors, but while we have noticed this mural in the next photo before, we never used it! We’re not sure why we hadn’t but we’ll call it “Rachel’s Mural” from now on and we think it made for a really nice backdrop! Here is our fun little behind the scenes vine of the day! So that’ll do it! 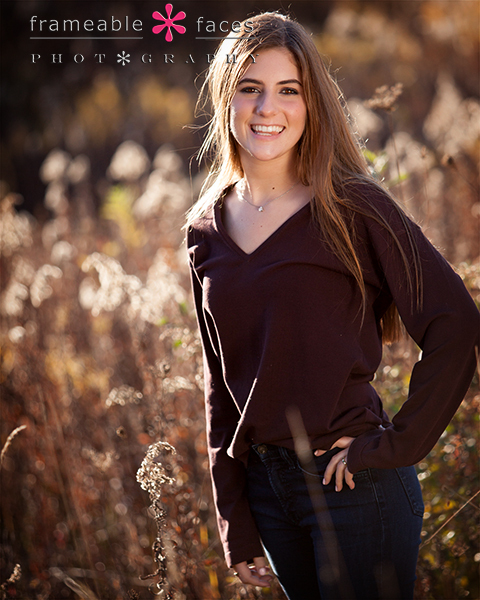 We hope you liked these highlights from Rachel’s session in all of her resplendence! We certainly enjoyed spending another day with her! We’ll be admiring Annabel always. We always have and we always will! We photographed Annabel with her dad and brother (her brother Harry is featured in this class of 2013 post with the flaming baseball bat) right when we opened our studio and we were impressed with her from the first moment we met her. 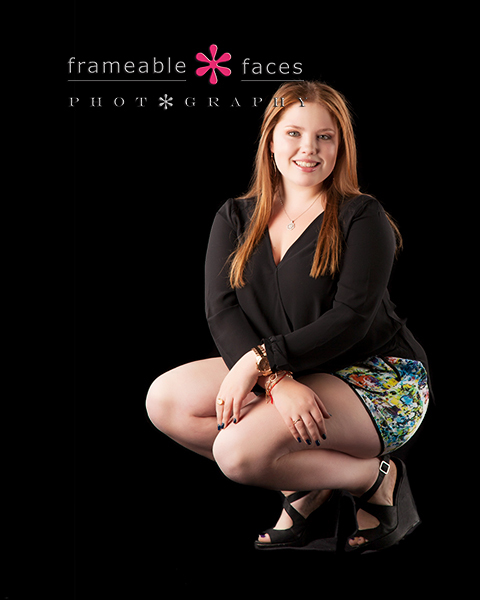 We had her pegged as someone we hoped would represent our studio someday as a senior early on, and meanwhile as we said in the post for her spokesmodel session she’s been “spokesmodeling” for us for years really… Giving us the rundown on who’s who and recommending seniors. It’s not a total stretch to say Annabel has helped shape the direction of the studio – the girl knows everyone and she has given us great insights over the years! We’re literally not sure what we are going to do without her when she goes away to college. 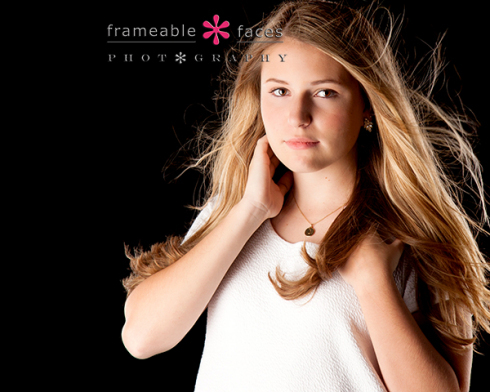 As for her senior photo session this is now the 4th time Ally has photographed Annabel since we opened and it was a bit surreal and very special. Her dad came along and we had a lot of fun as we always do! We went to a familiar location but we photographed some of our favorite spots there in new ways with new angles, and then we found a couple spots that we hadn’t used before as well. Pulling back on the crop for a full length on the dock is pretty cool and Annabel’s outfit is really cute in the shot above! She looks fantastic! 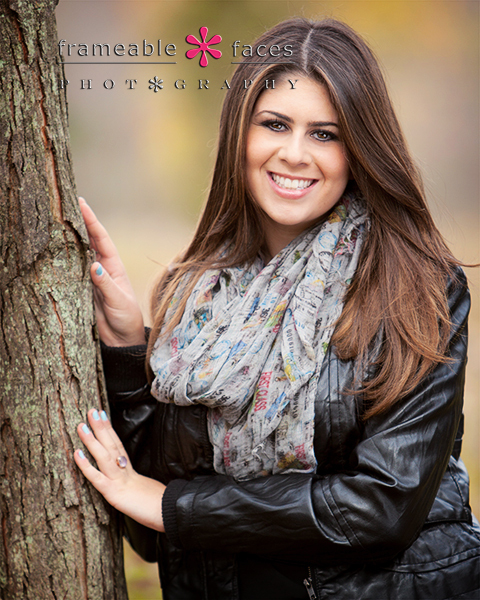 We were able to take advantage of the pop of Michigan fall colors in this next close up – love it! Next we headed down to one of the bridges in the park for this shot that we’re not quite sure we’ve done before and we’re not sure why – it really worked. Not to mention that dress with those shoes…! Lastly we went to downtown Birmingham for some cityscapes and we went to the top of one of the parking structures which we hadn’t done in a while either and as the sun was getting low in the sky the angle of the light along with a little breeze produced this stunning shot! So there you have it! We can’t wait to see what big things are in store for Annabel – we are proud to call her our friend and as I said before we will be admiring Annabel always! Our Delightful Day With Danielle! Our delightful day with Danielle was one we will always remember for sure. To begin with Ally and Danielle’s mom go back to their college days where they had classes together at Michigan State, so this was a little surreal for both of them. 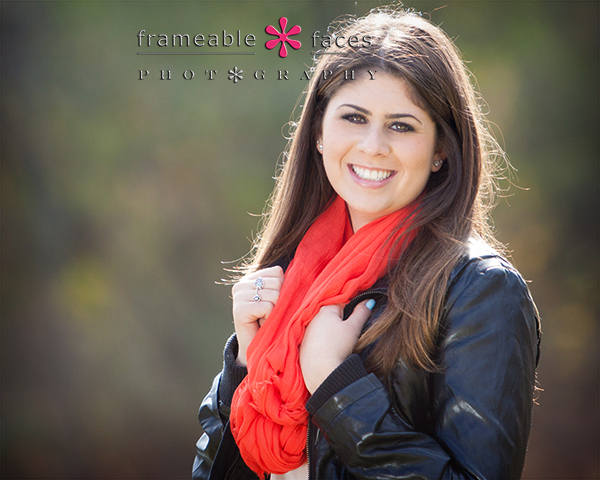 It was particularly cute because the whole scene was making Danielle’s mom a little emotional – it was a special time for her to see her little girl all grown up and having her senior pictures taken. As for the girl – Danielle is such a sweetheart that we fell for her right away. This seems to be a recurring theme lately as we’ve had some fantastic kids this year, and Danielle really impressed us as we talked about her plans for the future and we just really enjoyed our time together. She’s just, well, delightful! It didn’t hurt that we had the combination going of such a beautiful girl with such a beautiful day! It really was perfect. 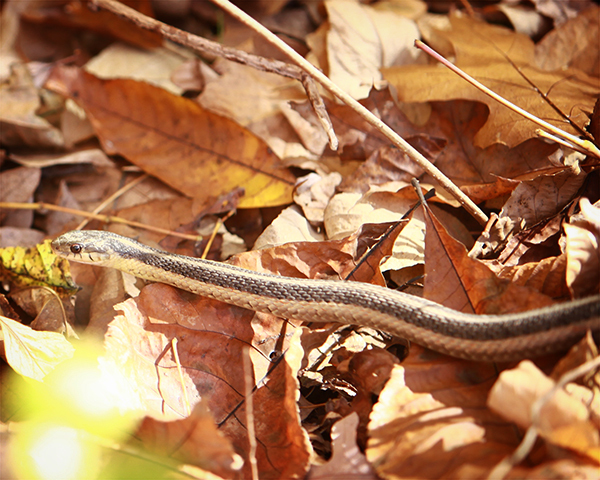 We started out on location and headed out onto some trails where we had great lighting and great colors. Next let’s take a look at our fun behind the scenes vine of the morning where Danielle’s mom was providing the soundtrack from her iPhone when we were on location, and providing the encouragement when we were in studio! Haha! 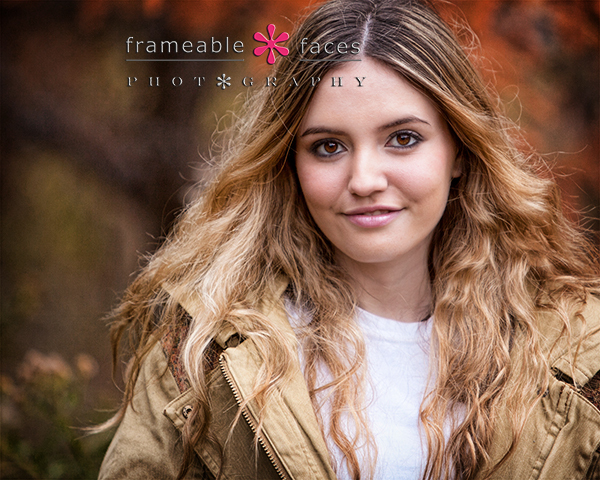 Okay one more photo outside and the backlight on her hair on this one really helps make the photo – love it! At this point it was time to head back to the studio to get some photos indoors, and we are highlighting this one on the red background that really worked – you could see us working with the red in the vine. 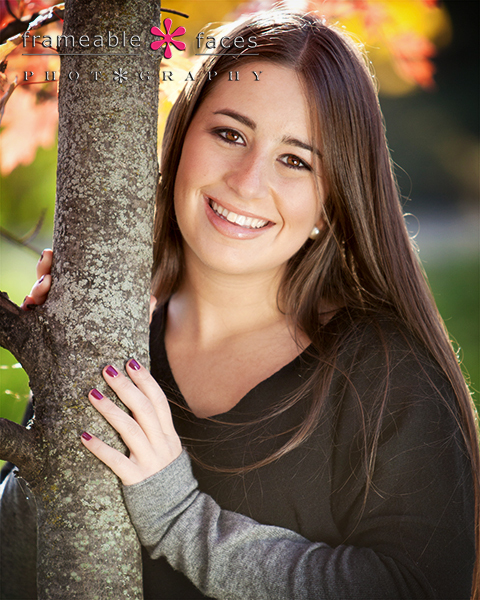 We love when our seniors pick red as one of their selections! So we hope you enjoyed these highlights from our delightful day with Danielle! We were certainly delighted to share them with you!